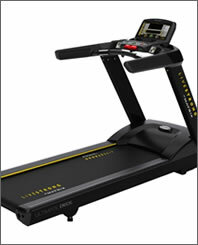 Livestrong Fitness treadmills are considered by many to be some of the finest treadmills on the market today. They offer a variety of features that put them far ahead of the competition. 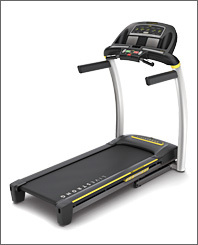 Livestrong treadmills are built to stand the test of time. 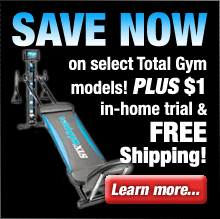 They are constructed with rugged folding frames and heavy-duty motors which are both covered by a lifetime warranty. 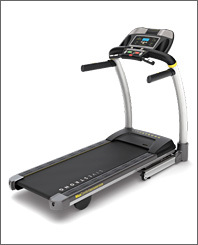 Livestrong LS13.0T Treadmill is built for runners. It features an extra long belt which facilitates longer strides and running at higher speeds. Its numerous features including a 14% incline range, speed and incline toggles for on-the-fly changes, Lance Armstrong-endorsed training programs, and wireless heart rate monitoring ensure that you'll get an excellent workout each and every time. Its high quality motor is also exceptionally quiet so you can enjoy listening to music on the built-in speakers or watching TV while you work out. Livestrong LS10.0T Treadmill is perfect for walking, jogging or running workouts. It offers a number of features including speed and incline toggles, Lance Armstrong-endorsed training programs, and a built-in fan to keep you cool and refreshed. 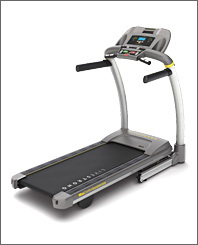 Livestrong LS7.9T Treadmill is an affordable solution for those who desire a high-quality Livestrong treadmill but are on a tight budget. Like its big brothers it also offers advanced features and functionality including Livetrack Fitness Journal, 0-12 mph speed and 12% incline, heart-rate monitoring, built-in fan and a powerful 2.5 CHP motor with lifetime warranty. 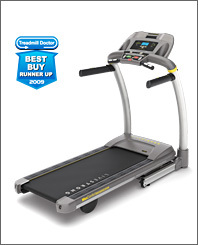 The Livestrong LS7.9T treadmill offers an exceptional value. All Livestrong treadmills feature their exclusive MaxComfort system cushioning which ensures your comfort as you're getting into shape. 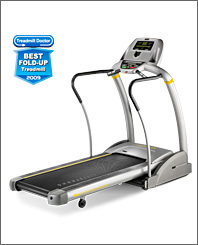 Another great feature that comes standard on all Livestrong treadmill models is the Livetrack Fitness Journal built into their computer consoles. 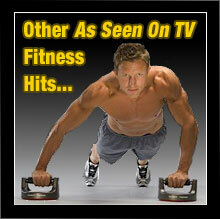 It's the perfect way to keep track of your fitness progress! In addition many Livestrong treadmill models include built-in speakers with MP3 player and iPod compatibility so you can listen to your favorite music or audio books while you workout! The LS16.9T steps up to premium Pioneer speakers and an iPod docking station. You'll quickly notice the Livestrong Fitness difference the first time you step onto one of their top-quality treadmills! What are you waiting for? Order one today and get ready to watch those pounds disappear! 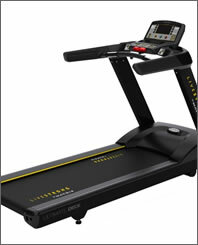 Compare Livestrong treadmills to find the right model for you.